A few years ago I went to see The Maine play the House of Blues in Boston, Massachusetts. There were three opening bands that night. I remember liking them all, but I was especially blown away by Real Friends, whose sound I couldn’t classify. Not that it mattered. Whatever they were, I thought their highly caffeinated pop-punk/emo punk/screamo songs were fantastic. But also because everyone in the audience was singing – and screaming – along to them. Everyone. I still think the person I was with and I were the only two people in attendance who hadn’t already fallen for the band. But I fell for them that night. Hard. As soon as I returned home post-show, I went on Spotify and found their albums. Their music was way too loud and energetic for me to listen to while falling asleep, but I kept Spotify open and as soon as I woke up the next morning I cranked it up and began listening. In fact, they wound up being the only band I listened to that day. Suffice to say, I’d already considered myself a fan for two or so years before I heard the band’s excellent new album, Composure, which I’ve been listening to a few times a day since its release. If you thought the band was energetic before, your jaw is going to drop when you hear “Me First,” the blistering chorus of which leaps out and grabs you with long claws that cut deep. From that point on, you’re the album’s prisoner and it won’t let go until it’s done with you. And you can forget about listening to it in the background at work. Even if you work from home. These songs just aren’t built for passive listening. Not by a long-shot. They’re meant for – and demand – active listening. You’ll have no choice but to pay it close attention as it rocks your world. You just can’t resist its devilish hooks and you’ll find yourself zeroing in on the album’s mature but highly accessible lyrics, too. Lyrics you’ll be singing along to in no time. 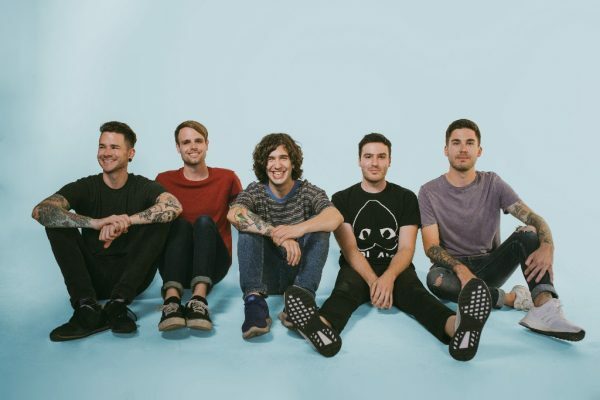 So, I would say to listen to Composure before reading this interview so you can bask in all of its glory without my conversation with the band’s bassist and songwriter, Kyle Fasel, distracting you. But do come back and read the interview after! MM: You’re doing Warped Tour right now. How much longer does that go? KF: We’re on Warped Tour for another couple weeks. MM: And you’re headlining this time, right? KF: Yeah, we’re on the main stage. Journeys’ Right Foot Stage. MM: Do you guys soundcheck or do roadies do that for you where they have bands going on back-to-back all day? KF: For us, usually there are a couple of us in the band doing that. We don’t really have a full crew. MM: How many times have you done Warped Tour now? I know this isn’t your first. KF: This will be our third full Warped Tour. MM: Have you been pranking any of the other bands or vice versa? KF: Pranking any of the bands? Not really. 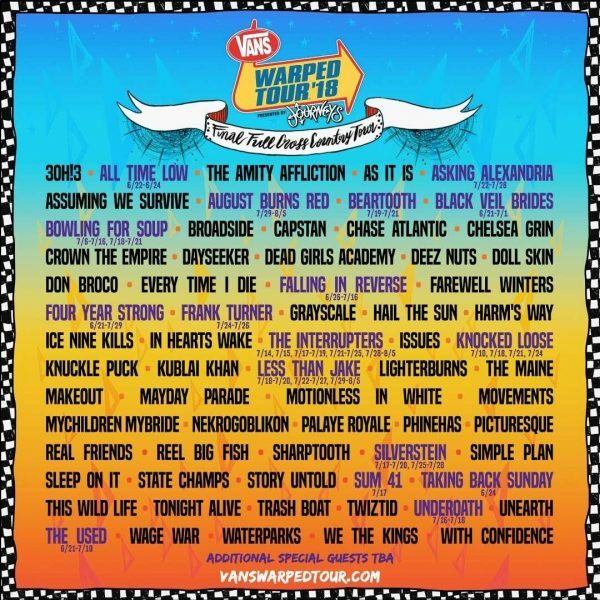 I feel like after the day of Warped Tour is over you’re kind of just burnt out, you know? MM: I love the new album. Did you road test any of the new songs before recording them? KF: No. We did not. We actually wrote a good amount of the songs in the studio. But we are playing two new songs now on the tour and they’re going over really well. MM: So, you worked with producer Mike Green on the new album. How did you connect with him? KF: Mike Green is awesome. We did three songs with him on the last album before this one titled The Home Inside My Head. We just tested out the waters with him. We went, oh, we’ll do a couple songs with him, and a couple of them turned out to be the better songs on the album, and it was a no-brainer this time around. We were like, we’re gonna go to Mike. He’s got a really good ear for making melody and making stuff memorable like we really wanted to do. MM: Where and when was the new album recorded? KF: It was recorded in January of this year and it was recorded in Los Angeles. That’s where Mike Green’s studio is at. MM: Did you decide to take a more melodic approach on this album or did it just sort of happen by accident as you wrote the songs? KF: I think with this album we did focus a lot more on melodies for sure on the songs. And I think we were all just trying to come up with a more memorable product this time around. We wanted to make songs that people would listen to over and over. MM: When you guys write, do you sit in a room and write songs together or do you write songs individually and then finish them together? How’s the writing process work? KF: With us, we’ve always done it a really different sort of way. The band started actually with just me and our guitar player Dave [Knox]. So, right off the bat we were actually writing with just the two of us and programmed drums. Just using like Pro-Tools or Garage Band or whatever. And we’ve always kind of stuck with that where me and Dave and Eric [Haines], our other guitar player, who came in later as well, will focus on the music and then normally we send stuff to Dan [Lambton; vocals] but with this album we actually worked on most of the vocals in the studio, which was actually really helpful because we had Mike Green’s opinion right off the bat from the beginning of the vocal process. Putting all the lyrics on the songs. Just having his opinion. Because sometimes you can get married to an idea. Especially vocalists. So, it was a little nerve-wracking at times, going into the studio and being like, all right we’ve got about five weeks here, and we have hardly any vocals written, but with Mike’s knowledge and our motivation to put out the best album we can, it turned out great. MM: Who writes the lyrics then? KF: Dan, our vocalist, and me write pretty much all the lyrics. Actually, on this album, it’s right down the middle. We both contributed half and half on the album. MM: When you say that, do you mean he wrote the lyrics for half the songs and you wrote the lyrics for the other half or did you both contribute lyrics to the same songs? KF: It was like per song. There was one song on the album, titled “Composure,” the title track, that him and I actually put some lyrics together [for] to write that song. And we had never done that before, so that was kind of interesting to try. But it’s pretty much a collaborative effort. Even Mike Green, the producer, was throwing some ideas around as well. We’d come up with the bulk of it, Dan or me, then we’d get the band’s opinion – even on some lines – so this time around the lyrics really felt collaborative, which was really cool. MM: One of the things you address on the album is mental health, especially on “From The Outside,” but on some of the other songs as well. I’m bipolar myself so I’m just curious, is that something you yourself struggle with? KF: Actually, our vocalist Dan struggles with that. But not me personally. MM: One of the new songs is called “Smiling On The Surface.” How often would you say you’re doing that? KF: I think with this career, I feel like you do have to do that at times. Especially on a tour like this, for example, we’re all working really hard and it’s really hot and there’s times you’re hanging out with the fans and meeting them and they were great, but it’s like, hey, we just wanted to go to bed. We’re tired. We’re hot. I think it’s just [that] we’re all human, you know? We’re all smiling on the surface at one time or another. MM: On “Stand Steady” you look back at youth and are glad that you’ve grown. What were you doing or experiencing in the past that you’re glad to have grown out of? KF: On that one, that was actually a song that Dan wrote, but I guess I can kind of sum it up as simply growing, and being more mature, and having eye-opening moments of how to just move on in life in general. MM: “Hear What You Want” seems like it’s about a relationship where your partner only hears what they want. Have you ever personally been in a relationship like that? KF: No, I have not. Actually, that song is actually about self-reflection more. MM: I’m glad I asked then. KF: I wrote that one. That one is about singing the song to yourself. It’s kind of one I wrote to myself. Just a reflecting on the past and everything and looking at yourself in the mirror kind of song. MM: I really like the acoustic tracks you guys have done. Have you thought about doing any acoustic versions of the new songs? KF: Yeah, actually, we were just recently talking about wanting to do that. I feel like it’s definitely something in the near future that we’re wanting to experiment with. MM: When the album starts slowing down you could re-release the album as a deluxe edition with a bonus disc of acoustic tracks or something. MM: I love the new album cover. Who designed it? KF: Actually, there’s a guy named Flo. He works actually over at Fearless Records, the label that released the album and, yeah, we told him our vision and he came up with the bird. It’s actually based on the song “Stand Steady.” It says “a bird in a hurricane” in the song and it’s based off that. So, I thought it turned out good. We wanted to do something illustrative and kind of minimal and it was perfect. MM: I know the critics love the new album. What’s the reaction been from the fans so far? 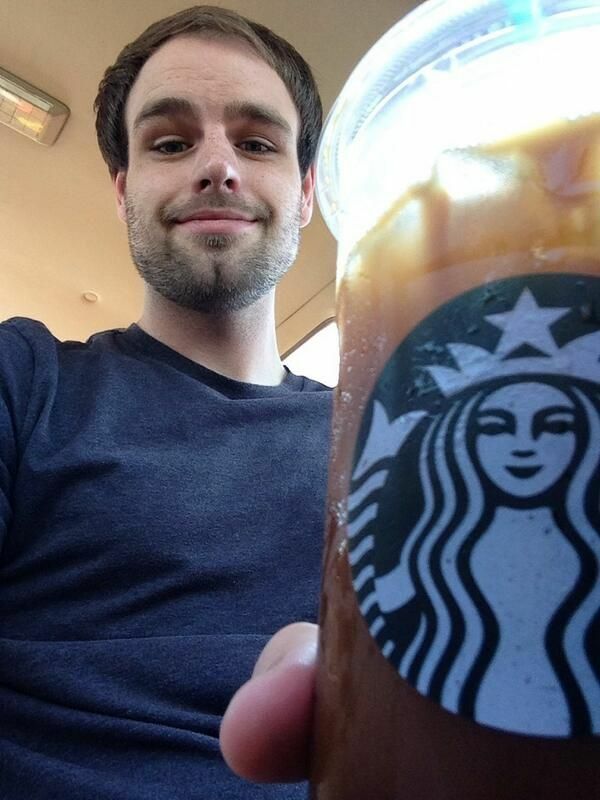 KF: Everything’s been great. We’ve had a lot of people on the tour coming out and saying it’s our best album to date. And I agree. MM: At what point in your career did you realize that you made it, that the band was going to be a success? Was there a certain moment when it hit you? KF: I’d say probably at the end of 2013. Because we started touring full-time in 2013 and we were all able to quit our jobs. At that point, we weren’t really making much, but we were able to kind of get by with what we were making as the band. And then toward the end of that year is when we found more success and into 2014 we were playing shows and there were always people out carrying band merch, you know? I’d say the end of 2013 into ’14 we had the eye-opening moment of, wow, we’re really doing it. But, honestly, too, it’s one of those moments where sometimes I’ll wake up and go, oh, this is what I do. It’s weird even after like five years. We’re definitely very grateful for it. MM: I know at least four of you guys have a lot of tattoos. Are you among them? KF: I have a couple, but I’m not really a tattoo guy in that sort of way. MM: Can you tell us about the tattoos that you do have? Are there stories behind them? KF: Sure. I have two wrist tattoos. One says “love” and one says “music” and I got those when I was eighteen. Those were my first tattoos and I got them after an uncle of mine passed away when I was eighteen. After the wake I went and got the tattoos. It was something where I always said, I should do this, you know? I should get these tattoos. And I was always pushing it off. And I was like, hey, life’s short. You never know. You’ve gotta do what you’ve gotta do, you know? I think these tattoos sort of remind me of that. MM: You recently volunteered at the Nashville Humane Association. How did that come about? KF: It was something that Journeys, the shoe store, presented to us. We’d done some stuff with them in the past and they wanted to do something with the humane association and we were all about it. We had a great time volunteering. We put up a nice video on our Facebook and Youtube and, yeah, it was awesome. We were all very satisfied with that. It felt good to help out and volunteer for a good cause. MM: Do you have any pets yourself? KF: Yeah, I actually have a dog. A four-year-old chihuahua rat terrier that I actually rescued from a humane association in Illinois. She’s awesome. Her name’s Little Girl. So, the whole humane association cause is very close to a lot of us, having dogs and such. KF: That’s a tough one. I don’t know. Probably something with dogs, honestly. There are a lot of dogs – I’ve learned that after rescuing my dog – it got us more involved with keeping up on a lot of the local humane associations in my area. There are all these places. A lot of them are non-profit. They need donations and stuff. But definitely something with dogs and animals. MM: Vinyl has made a huge comeback during recent years. 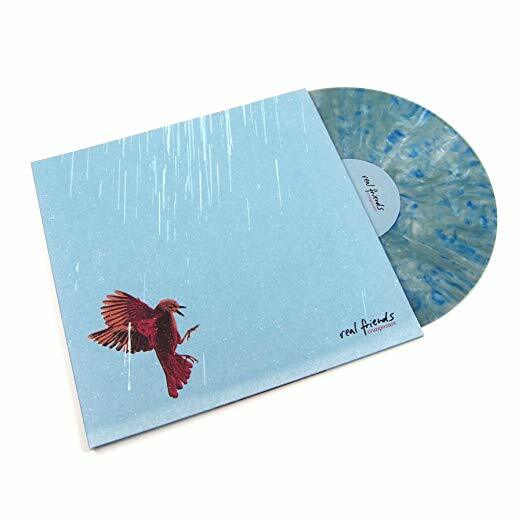 Are all of your albums out on vinyl? KF: Yeah, we always do a vinyl version. There was actually a fan at Warped Tour the other day showing me a picture of every color variant of all of our vinyl. He has every single one. So, yeah, a lot of our fans are into it so I think it’s really cool. MM: Are you a vinyl collector yourself? KF: Wow, I have no idea, honestly. I’m a very big Spotify user. I think it’s probably the best tool for people to find new bands. I used to buy a lot of CDs. I used to get a CD once a week. That was my thing when I was in high school. But now with Spotify, it’s so accessible. MM: I saw that you get over half a million streams a month on there. Did that just gradually build up or did they put you on one of their exclusive playlists or something and it exploded? KF: Yeah, we’re on some of their playlists. There’s like New Music Friday and some of the pop-punk playlists and stuff. It’s really helpful, you know? That’s why I believe in Spotify so much. They really get the word out there for bands. 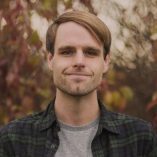 MM: I remember seeing you guys open for The Maine a couple years ago in Boston and I was just blown away because your fans seemed to sing along even more than The Maine’s fans. KF: Yeah, that was a good tour. MM: And they’re on Warped Tour with you guys, right? KF: I usually binge-watch anything Netflix releases that’s crime [related]. 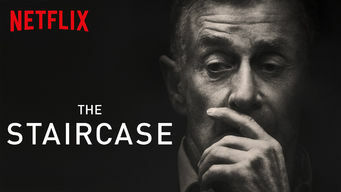 I just recently watched The Staircase that’s on Netflix. That was pretty good. MM: I’ll have to check that out. I used to watch every show they put out, but now there are so many I can’t keep up. MM: What are your all-time favorite shows? Just in general? KF: I’d say The Office and The Sopranos. KF: Back to the Future, Billy Madison and Dumb and Dumber. MM: What was the first concert you ever went to? MM: Wow, that’s surprising. But that’s cool. Who did you go with? KF: My sister and my mom were going and some of my sister’s friends. And my mom didn’t want to pay for a babysitter so I went. And I had a good time. MM: What was the last concert you went to aside from seeing bands on the Warped Tour? KF: I honestly can’t even remember. I feel like – at least for me – when I’m at home I just sort of don’t want to go to concerts. Yeah, I’m not sure. MM: What was the first album you ever bought with your own money and what format was it? 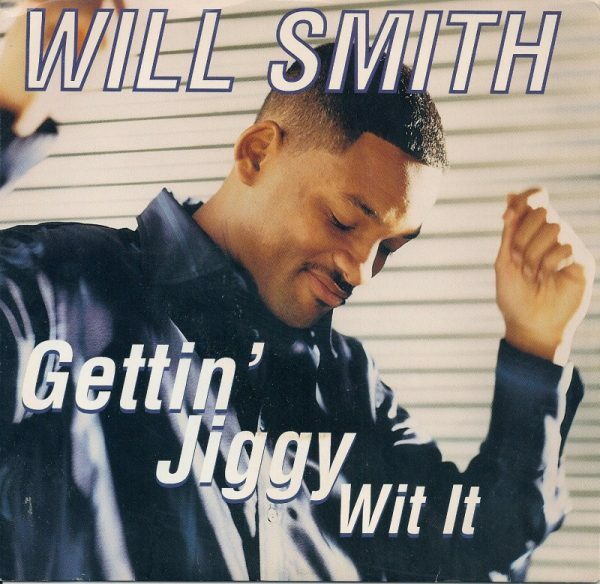 KF: I remember buying Will Smith’s single for “Getting Jiggy With It” at Target for two dollars. KF: I’ve always enjoyed most of my jobs that I had, honestly. I mean, I guess if I had to pick a bad one I worked at Jimmy John’s for a while. And that kind of sucked. MM: What is your favorite book? Or favorites? KF: My favorite book is called Hairstyles of the Damned. It’s kind of similar to Perks of Being a Wallflower, but sort of, I don’t know, a little more [of a] punk rock-influenced sort of book. So, that’s my all-time favorite. MM: We’ve lost a lot of musicians during recent years. Bowie, Tom Petty, Prince, Chester Bennington and Chris Cornell, just to name a few. Did you know any of them? KF: No. No. I know of them. Linkin Park did play Warped Tour one year that we did. They played like one day, but I didn’t meet any of them. MM: Which of the artists that we’ve lost during the past few years hit you the hardest? KF: I guess the one that was probably closest to our genre would be the Linkin Park one. Chester Bennington. MM: It just blows my mind trying to wrap my head around the fact that both him and Chris Cornell committed suicide, if you believe what they say. KF: Yeah, that was crazy. MM: Last question. If I was to look at your contract rider, what might I be surprised to find there? MM: Yeah, do you have any interesting requests on there? KF: We did get a whole bucket of Red Vines on our rider recently, so that was pretty cool. Besides that, nothing too out of the ordinary, honestly. 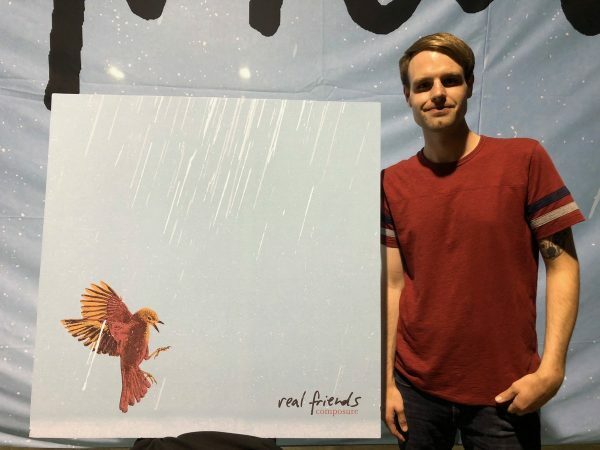 Buy Real Friends’ Composure on vinyl from Amazon. 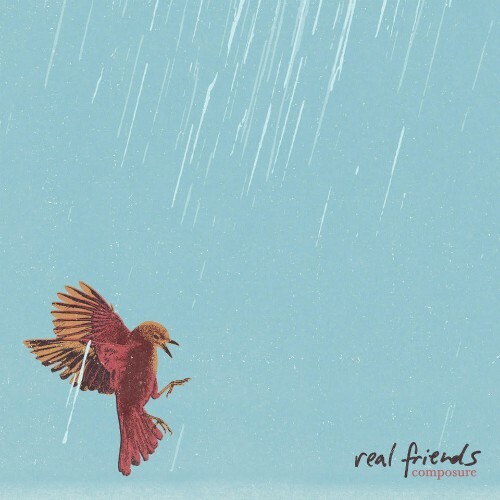 Buy Real Friends’ Composure on mp3 from Amazon. Buy Real Friends’ Composure on CD. Follow Real Friends on Twitter. Like Real Friends on Facebook. Visit Real Friends official site. I’ve been a fan of these guys for a few years now and I read every interview I can find. This was one of the most interesting ones I’ve read. Mad props to you. These guys are so good live.